Water on Mars, Italian researchers discover a lake. Liquid water on Mars has been found for the first time. 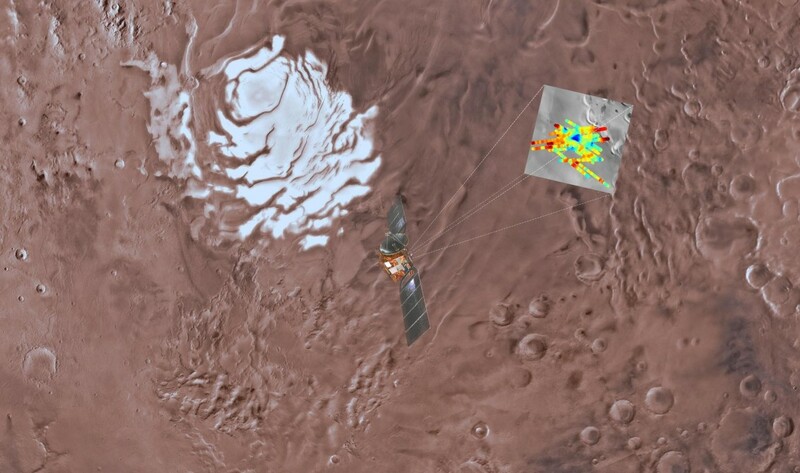 It was an observation made by the Italian Mars radar, which is located one kilometer and a half deep away, under the ice caps of Mars’ South Pole. Italians found liquid water on Mars. It is a lake similar to the ones that exist on Earth. However, it is located at the south pole of Mars, under an ice sheet. It has twenty km in diameter, and a temperature of at least ten degrees below zero. The lake can remain liquid despite the low temperature, because of the presence of dissolved salts (magnesium, calcium and sodium are elements of which the planet’s soil is rich), and the existing pressure of the overlying ice. On Earth, there are numerous subglacial lakes known in Greenland and in Antarctica. There, some live colonies of extremophile bacteria are able to survive even, despite the cold and the dark; which means that life itself could exist on Mars. 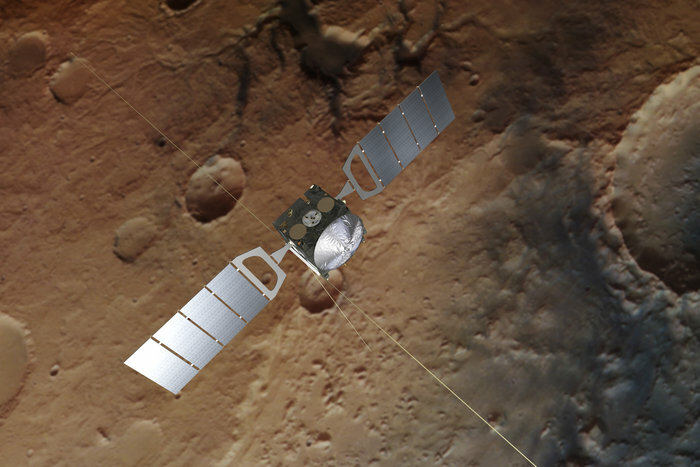 A radar called Marsis, which is in orbit since 2003 around the red planet, has found the liquid water on Mars. Marsis was built with the hopes of many scientists, dreams of adventure, and of course passion for knowledge. All of it was able to overcome the limited funds designated to do its primary task: the search for signals of life. And it has been found. Liquid water on Mars has never been seen, only ice and water vapor. But liquid water, life’s first condition, has been found for the first time today by the beloved Marsis. The dream team has a name: Elena Pettinelli, Enrico Flamini e (head of the operation); and the ‘young scientists’: Sebastian Lauro, Elisabetta Mattei, Barbara Cosciotti, Francesco Soldovieri e Federico Di Paolo. They are scientists gathered in Bologna for the Italian Spacial Agency, and they have been giving up their free time (especially the ‘young scientists’), looking forward and believing in the project, even if conditions where precarious and some skeptics told them it could not be done. With a smile on their face, Italian scientists put off the barriers that years earlier some skeptics said about the whole operation. They were American scientists who said: “You will not find anything, it is impossible to look under Mars at those depths, the magnetism of the rocks will confuse the radar….” But they continued to do the calculations, even when in 2007 Americans detected a signal that was near the liquid water on Mars. “But it came from an environment rich in dioxide, a compound that the radar cannot quite distinguish from water”, explains Orsei. Right after the victory, the NASA was first to extend the compliments. Other countries and associations followed. There is no doubt, the Italian stubbornness that some complain about can now be rewarded, with no other less than the unprecedented discovery of liquid water on Mars. It is self-evident, Italians do it better.